A large number of consumer RF shielding materials are now available on the market. But what is the right material for your application? To successfully shield a building against electromagnetic fields it is important to obtain a number of facts. What type of fields are present, what are frequencies and amplitude and what is your design goal. 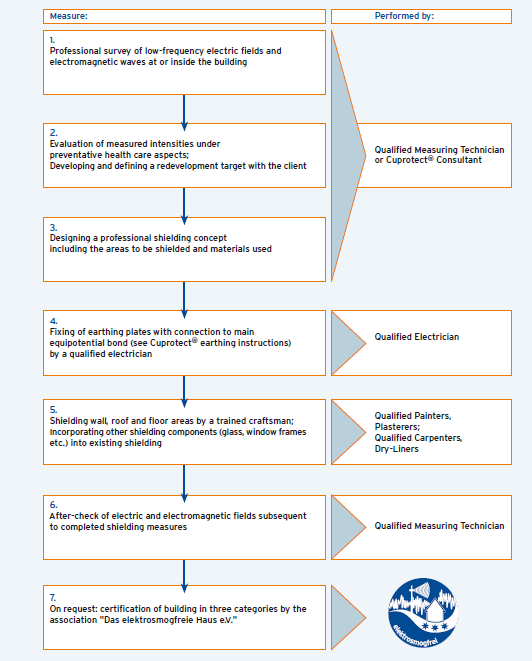 Our graph below outlines the 7 step of a successful RF radiation shielding project.